Bridal giant Vera Wang continues to provide her extraordinary designs to brides everywhere with the White by Vera Wang line, exclusively for David’s Bridal. This groundbreaking line features bridal gowns, bridesmaid dresses, accessories and shoes. This season’s brides will find nine new gowns, priced between $500-1500. And let me tell you, all the classic Vera Wang elements are there. The bridesmaid dresses are really pretty stunning. Again, you can expect all the things that make the Vera Wang Bridal brand great: updated silhouettes, contemporary cocktails dresses and chic variations on the theme. The best part? No gown is priced above $200. The White by Vera Wang Shoe Collection features chic options for spring and summer. Expect to see bow details, sling back open toed heels and rich, delicious fabrics. 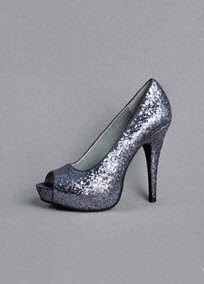 Shoes are available in sizes 5-12 (half sizes 5.5-9.5). All shoes priced under $100. Oooh! I'm loving this dress from the 'maids line. I am such a sucker for that amaaahzing fabric detail on the skirt. My two favorite gowns of the line. Look at the lines on that floor length, would 'ya?! Brilliant. The more of these chic, short bridal gowns the more I'm loving them for Spring. Can you imagine that little number in a tranquil garden setting...or a luscious gallery wedding? Love! A little shoe representation! 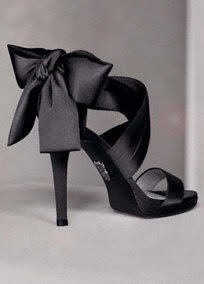 I'm really a fan of the bow detail on those strappy black heels. They're a total steal for $88. Oh, and sparklies!! 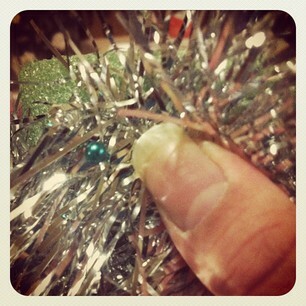 I love sparklies! 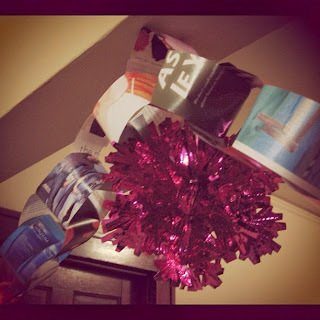 Paper chains are some of the most easily recognizable and iconic homemade decorations. I love them because they remind me of when I was a kid and how much I loved helping my Mom trim the tree and decorate the house for Christmas. 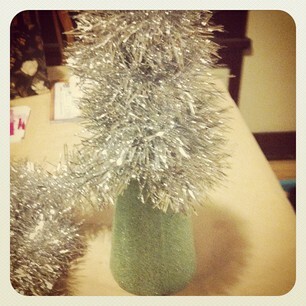 I think this is the perfect holiday craft to do with the littles. It's fun easy, affordable and safe enough that kidlets can really take the lead. 1. Gather your paper. 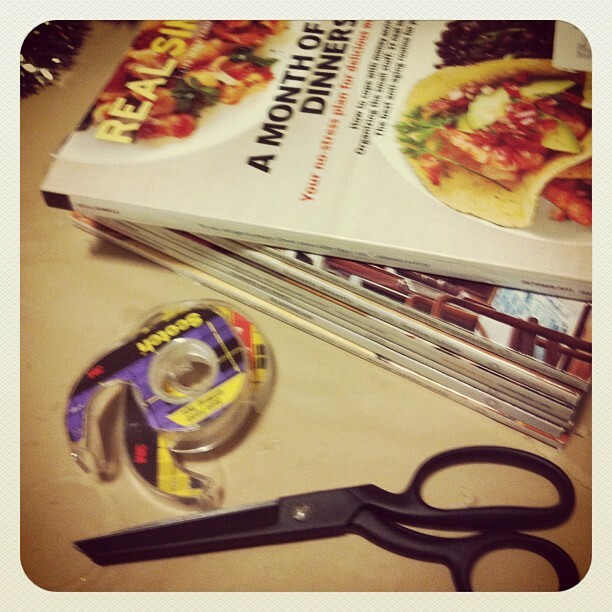 Magazines, books, gift wrap, metallics, construction paper, sheet music…don’t be afraid to get creative. As long as the paper you’re using in your chains is roughly the same weight, feel free to mix it up a little! 2. Cut paper into strips. 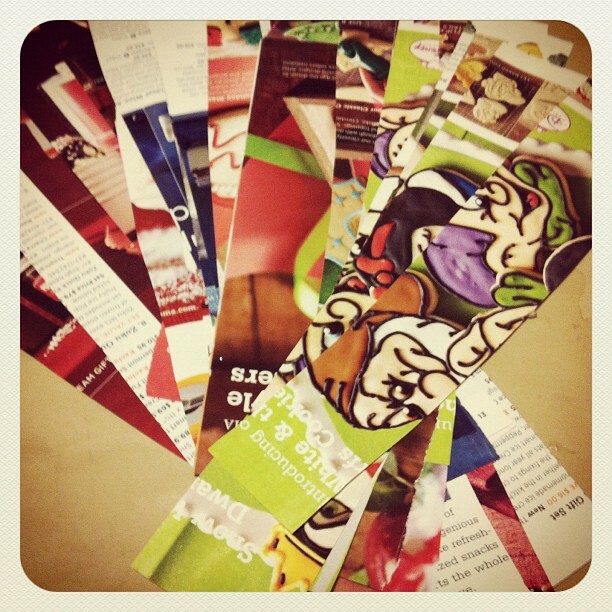 Keep in mind, the size of your strips will determine the size of your links. I tend to make my strips wide enough to get about 5-6 strips out of an 8.5 x 11 page. Tip: Consider coordinating colors mixed with pops of metallics for a modern twist. 3. Tape ends of link together, making sure to interlock links as you go. 4. 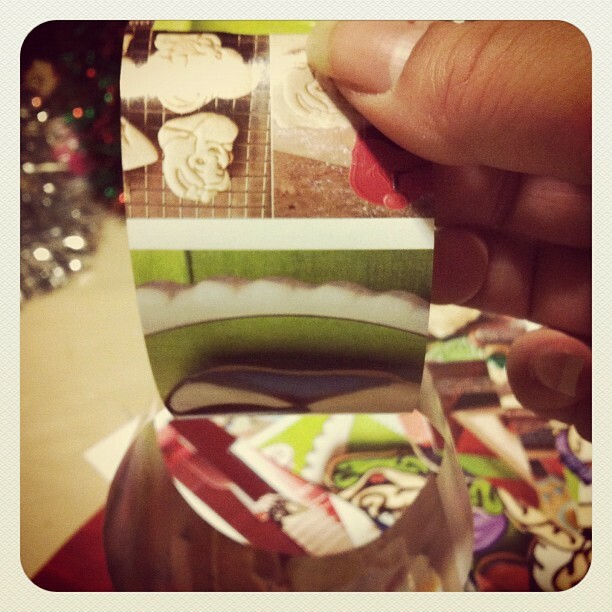 Hang with double-sided tape. Easy peasy. As you can see, I've added a fun little foil snowflake for a little more zazz. Feel free to jazz up your own chains! So, today my blog has been hijacked by someone we all know and love: The Hubbs. He's decided to lay a little dude knowledge on us. It's a touch wordy, y'all...but so totally worth the read. He's kinda funny...when he's not spray painting into the wind (another story....and a good one). P.S. 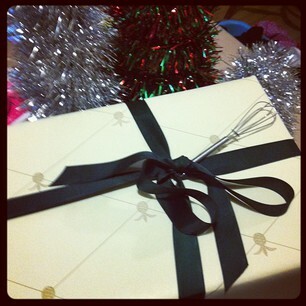 You'll have to excuse the photo...I don't have any pictures of manly gifts...yet. The top of the list goes only to those guys out there that were really good this year. Or hell, maybe you can just get rid of him for a few days. Where? Where else? Las Vegas of course. I know it’s a little (or, a lot) pricey, but a cursory glance at www.lasvegasgolfgetaways.com gives a starting point at about $1400 for round-trip airfare, 3 days,4nights and greens fees at some of Las Vegas’ top links. Need even more stocking stuffers? Some perennial standards of the masculine DVD variety include such vintage classics as Fear and Loathing in Las Vegas, Leaving Las Vegas, 3000 Miles to Graceland and Ocean’s 11. You’re obviously not a golfer. HAHAHA! High Five for TBL reference! (The Big Lebowski) I would put that on a list by itself, but he already owns it. All men do. It’s just one of those guy things. Moving on, perhaps your guy prefers to sit quietly and read. Maybe he just really likes drinking. Either way, “Beers of the World,” by Michael Jackson (not, THAT MJ…) is considered by many the world over to be THE definitive reference guide to most things beer. Not enough? He also wrote “Beer Companion,” “Ultimate Beer,” and “The World Guide to Whisky.” Just to name a few. If you give a mouse a cookie, he’s going to want to drink high quality single malt scotch which can be found at www.thefiftybest.com/spirits/best_single_malt_scotch/ . I’m getting thirsty. It’s December right now. It’s frigid outside. Cold and snowy. (Yay) So, naturally I think about baseball. A lot. Like every five minutes I’m thinking about ERA for my dream starting rotation. Naturally then, I am never disappointed when someone gets me season tickets. Well, actually that’s never happened. But YOU CAN! Most teams will have already begun selling their season ticket packages by this time, so you might want to scoop them up. The easiest way I’ve found to get to a particular team’s website is by typing this: "city name.team name.mlb.com". If you’re not interested in spending the 4 G’s or whatever it costs, almost all teams also offer far more affordable packages such as the ever popular 9 game pack. If you’re a Brewers fan, that will cost you about $200. Or gift certificates (also good on merchandise) all make you seem pretty, pretty awesome. 1. Secure the end of one length of garland to the apex of the cone with a straight pin. 2. 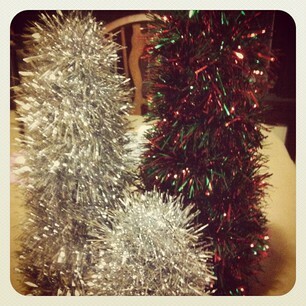 Wrap the garland around the length of the cone, anchoring garland sporadically with pins. Try not to wrap too tightly, as we are trying to achieve a fluffier look. 3. 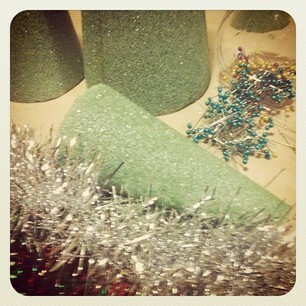 To finish the bottom of the cone, snip garland to fit and secure with pin. 4. (Optional) At this point, you can embellish your garland trees as much or a little as you like. Last year, Allison and I used big bird ornaments (that’s right, we put a bird on it) that we found at Michael’s. To keep your minds fresh, I didn’t add pics of mine, but I suggest buttons, costume jewelry, gift wrap tie-ins…you name it. The sky is the limit!